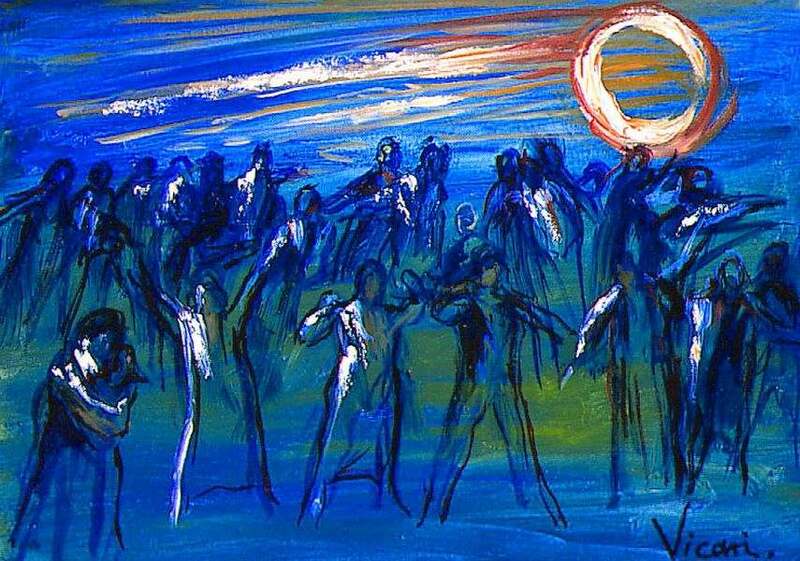 Although he was not quite famous during the lifetime in his homeland (UK), painter Andrew Vicari had a blistering career. The grand oeuvre of the artist is basically marked by the portraits of rich and famous made during almost six decades, though a notable number of landscapes and historical scenes he painted as well. Throughout the years the artist remained dedicated to the traditional media of painting regardless of ever changing art currents and trends. 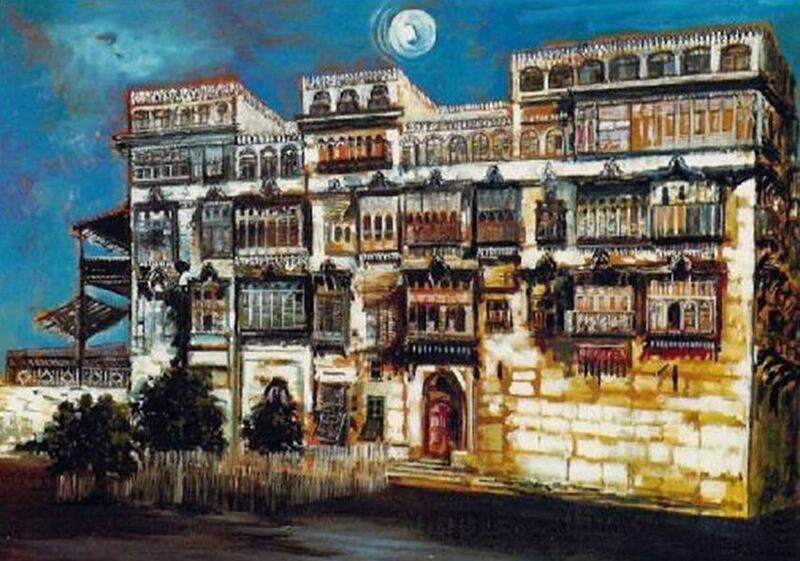 The king of painters and painter of kings was a phrase that gained Vicari worldwide fame which was appointed to him due to perennial connection with Arabic royalty. 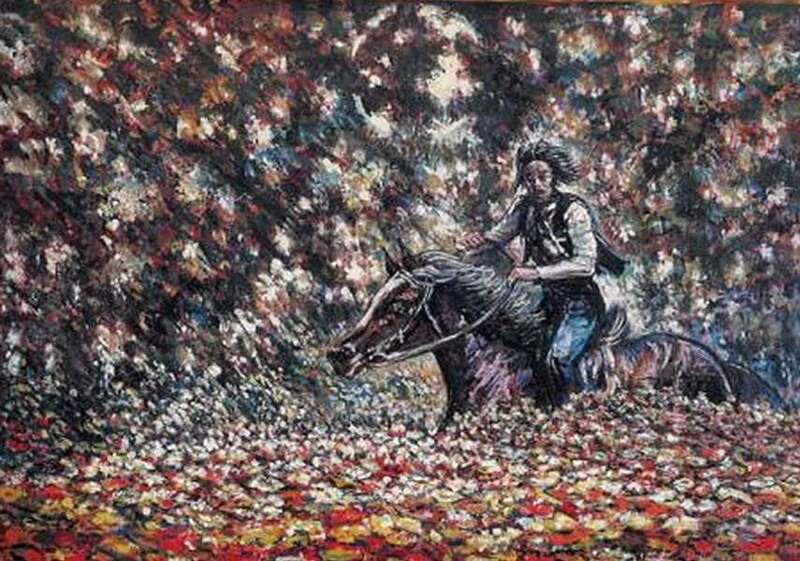 Andrew Vicari was born in 1938, in Port Talbot, Wales, in the humble family originating from Italy. From early childhood, the artist showed interest in art, so at the age of 12 he even won the gold medal at National Eisteddfod of Wales. Later, Vicari attended Neath Grammar School for Boys and between 1951 and 1953 studied painting at the Slade School of Fine Art at University College where was taught by famous Francis Bacon and influenced by another famous professor – Lucian Freud. Soon afterward, he started working in London as a portrait painter and had the first public exhibition which was held at the Redfern Gallery in 1956. Vicari’s carrier was certainly growing over the years, but the grand breakthrough happened in the early ‘70s when he was introduced with Saudi Arabia royal family by a friend employed in Ministry of Foreign Affairs. In order to position themselves as one of the mightiest secular societies in the Middle East, the House of Saudi was in search for new iconography. An imposing conference hall was to be erected in rising capital of Riyadh around 1974 and had to be decorated with adequate compositions. Vicari decided to realize almost sixty works titled symbolically The Triumph of the Bedouin, and the whole process lasted for five years. That was followed by a number of portraits of royal family and officials that the artist painted. All the work provided Vicari with the high rank of honored court painter, so it is not surprising that three museums are completely consecrated to his work and hence he was named Rembrandt of Riyadh. 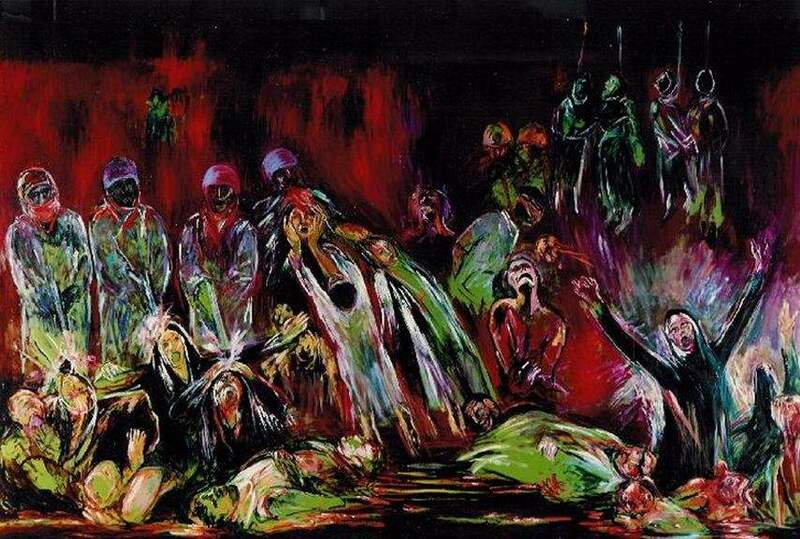 Soon after the break of Gulf War, Vicari demanded from Saudis government to become official war painter largely due to their involvement in the coalition that led the operation. Prince Khalid Bin Sultan, the joint commander of the allied forces became his sponsor and Vicar painted the series under the name From War to Peace: The Liberation of Kuwait which includes a vast number of oils depicting war scenes and portraits of the military man. Vicari stated that he was proud being able to contribute to keeping memory on the war alive through the paintings. Vicari’s career was definitely marked with plenty of interesting details which represent the thin line between his private and professional life. The artist was quite proud both of his career and affiliation to the world of rich and famous. Such a position he established not just by working for Saudi royal family, yet being the official painter for Interpol and the CRS, France’s elite police force. 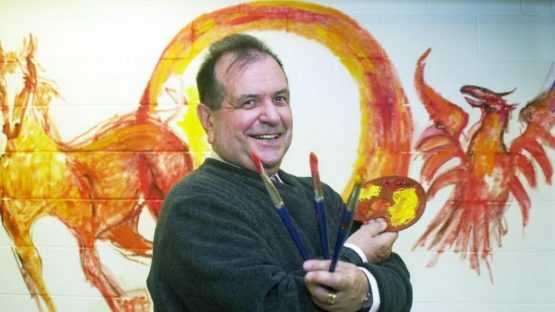 Those commissions over the years made him the UK richest living painter for 2004. In favor of that, acquaintances with famous movie stars like Sofia Loren or politicians like Vladimir Putin made him prone to stardom and fame. In 2016 Vicari was fifth on the list of 15 richest artists in the world. The distinct style of Vicari’s can be related, on one hand, to the painting of masters like Goya or Velasquez, and on the other hand, the impressionists. The artist was eager to remain devoted to figurative oils since he felt an urge to maintain a traditional approach to visual arts. 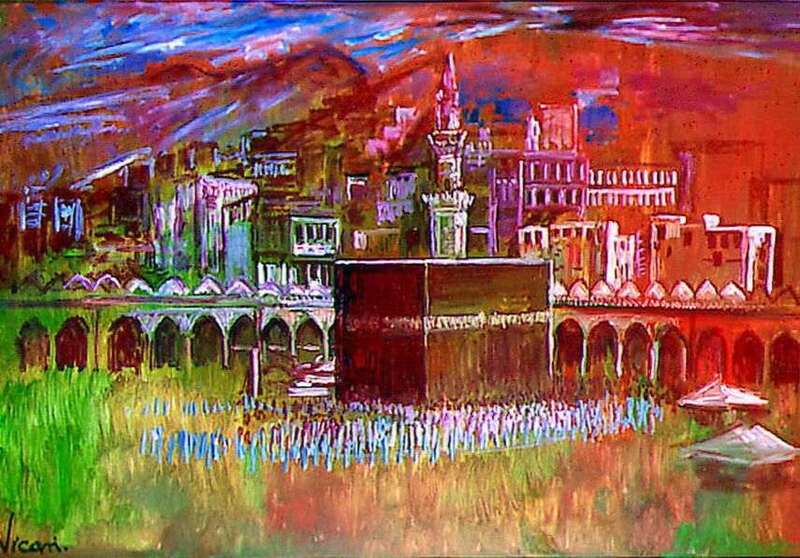 Though Vicari practically changed the course of painting in one part the Arab world, since idolatry was strictly forbidden in Islamic art, and immortalized nobility, politicians and movie stars, still domains of his art remain overshadowed by the wealth that earned. Nevertheless, peculiar phenomenon of the artist Andrew Vicari will definitely keep on fascinating both professional and general public. Andrew Vicari died on 3 October 2016 at the age of 84.